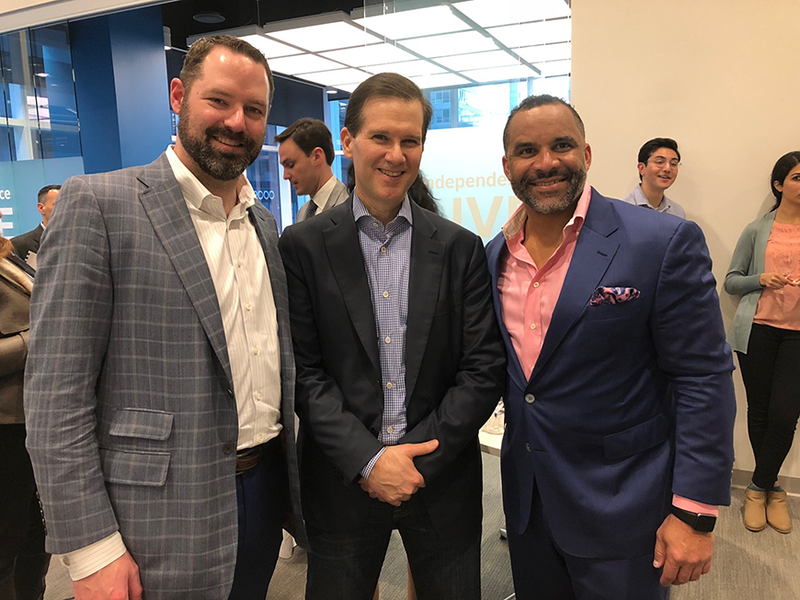 Pictured left to right: Brian Lobley, president of Commercial and Consumer Markets for Independence; Don Mathis, general manager of Growth Initiatives for Comcast; and Terry Booker, vice president of Corporate Development and Innovation for Independence. Independence Blue Cross, in collaboration with Comcast, through its Connected Health effort, hosted “Innovation Day,” which featured some of the region’s most promising health care start-ups and entrepreneurs. More than 100 attendees representing local provider groups and large employers heard a variety of short pitches about cutting-edge technology and ideas aimed at transforming health care in Philadelphia — keeping patients healthy, improving outcomes, lowering costs, and meeting the ever-increasing expectations of the health care consumer. The energizing discussion with about 20 leading early stage health care technology companies and top consulting firms addressed the growing emphasis on health care consumerism, the desire to move from “fee for service” to “fee for value,” and new ways to work together. Other topics included care coordination, readmissions, medication adherence, and more. “This is the first time in our region, other than at industry conferences, that three critical health care stakeholders — insurers, providers and employers — convened to talk about solutions to their collective problems in a collaborative way,” said Terry Booker, vice president of Corporate Development and Innovation at Independence Blue Cross.